Beat your best travel quote with our FREE service. It takes 2 minutes & could save you money. Using our FREE service could not be easier. Simply find a hotel, holiday or cruise that you would like to book BUT just before you do, send your best quote to us. Our network of expert travel agents will then work their magic to beat your quote (like for like). 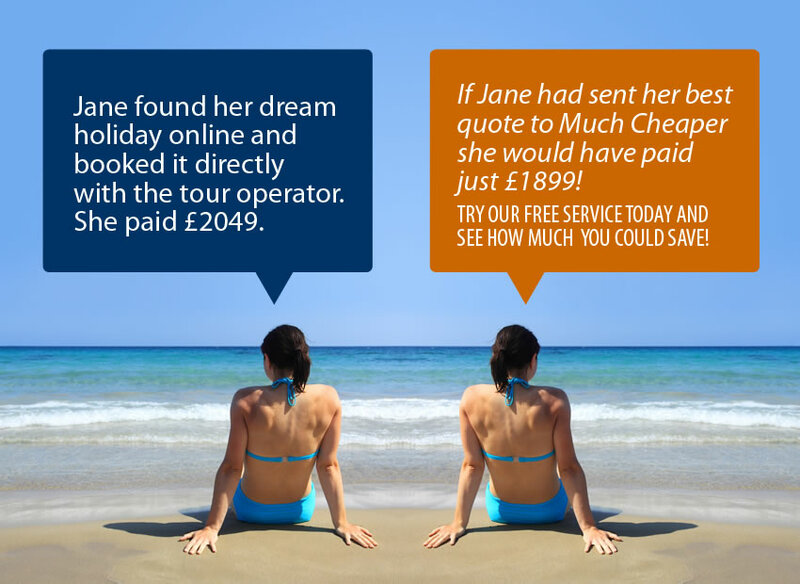 Our network of clever travel agents will work hard to beat your best quote. How does Much Cheaper work? Quick facts about our hassle-free holiday haggling service!